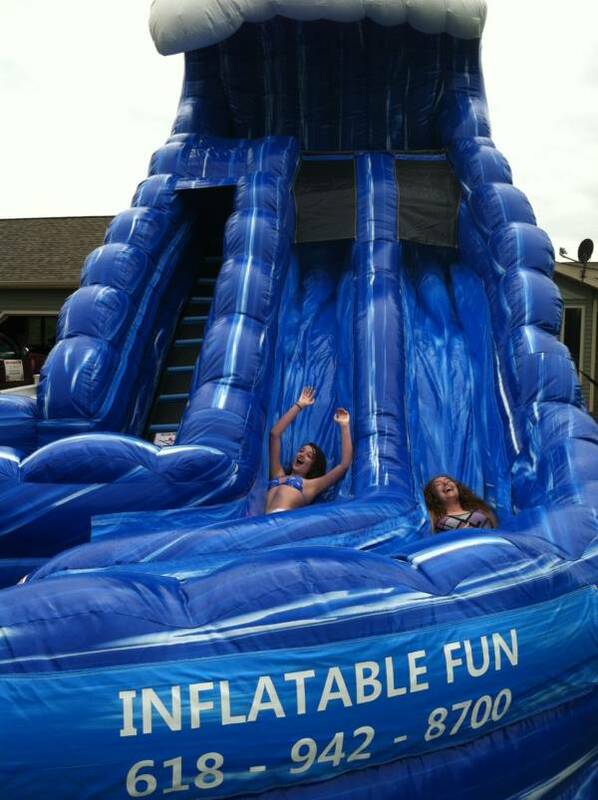 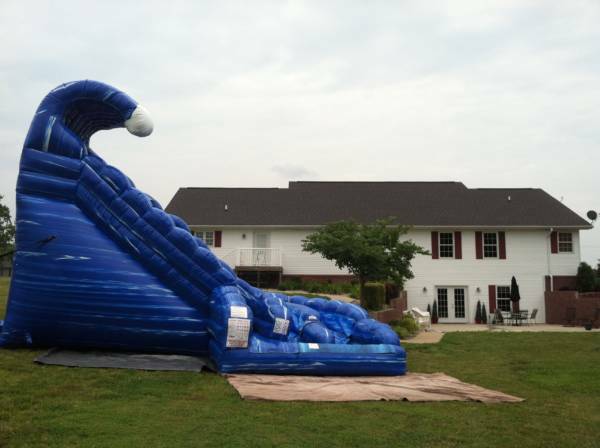 TIDAL WAVE: Our 18′ Tidal Wave Dual Lane Water Slide rivals our Wild Rapids Water Slide. 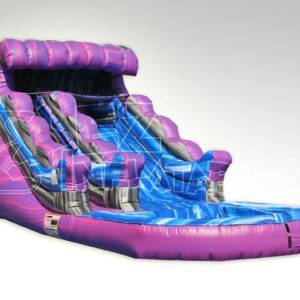 Same great features, same intense thrill. 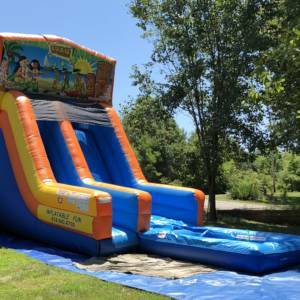 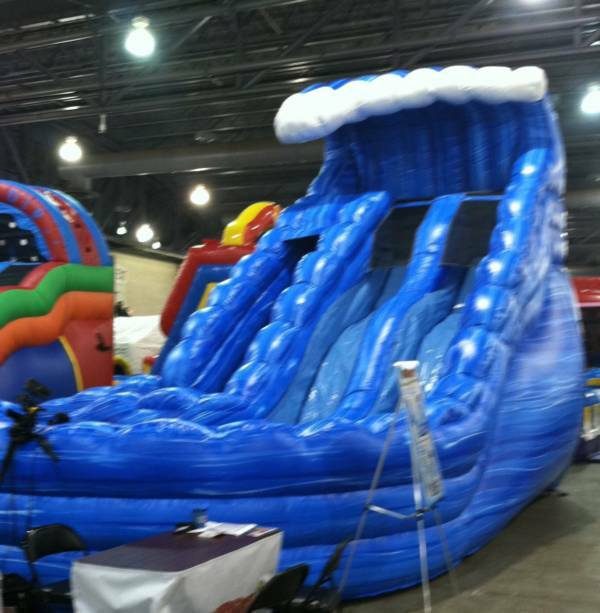 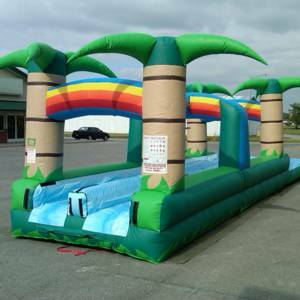 With a footprint of 25’L x 16’W x 18’H, this unit will fit in almost any front or backyard but is still huge enough to make the kids say, “WOW!” Two lanes of curvy, bumpy, wet and wild fun for your kids to enjoy. 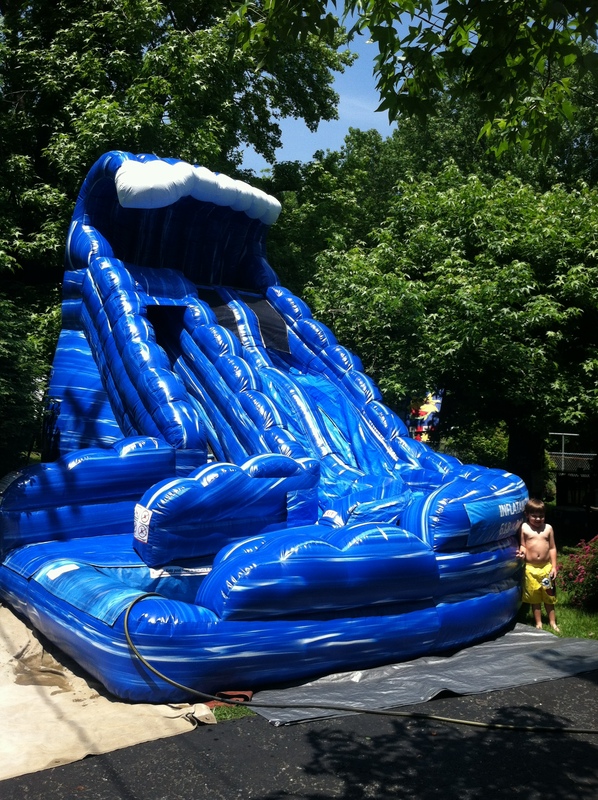 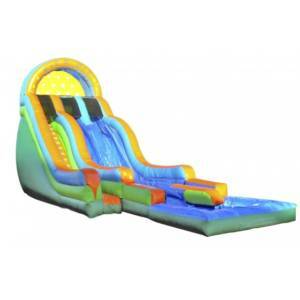 The splash pool at the end of the slide provides a safe and soft landing.